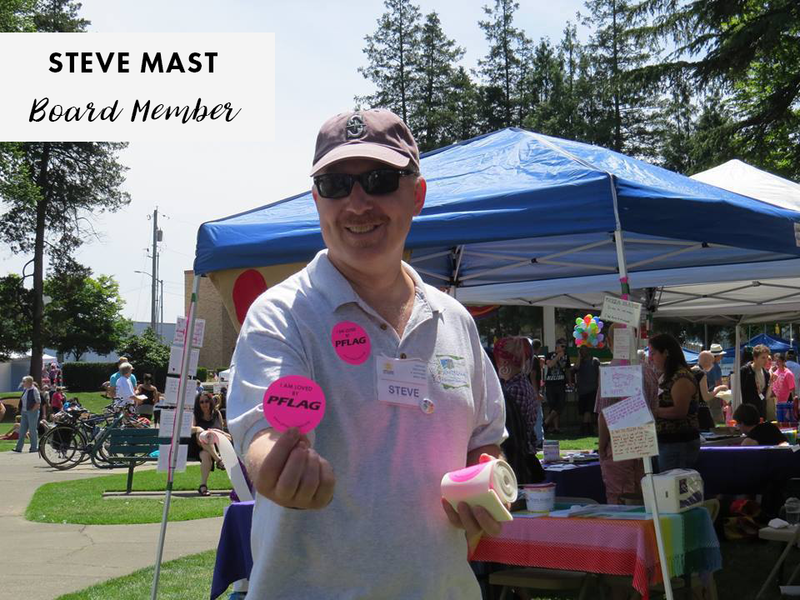 Steve Mast was a wonderful father, husband, friend, veteran, PFLAG board member and activist in the LGBTQ community who passed away in August 2014. In celebration of his legacy, PFLAG-Olympia established the Steve Mast Advocacy Award in 2015. Receiving the award that year was Donna Doyle. The 2016 recipient was Juliette Knight. Staci is an outspoken advocate, and supporter of transgender issues, and the issues that affect the broader LGBTQ+ community. She is a member of the Trans Advocacy Group of Olympia which has helped facilitate a local support group for parents of transgender/gender non-conforming children of all ages. She is the Executive Producer, Director, and Chief Editor of T-Time in Olympia which is a public-access television show, which seeks to educate the people of Thurston County on issues concerning the LGBTQ+ community, with emphasis on Transgender issues. The show was recently awarded a National Alliance for Community Media Award for diversity. Her goal is to center the voices of communities that have, historically, been marginalized in the media. 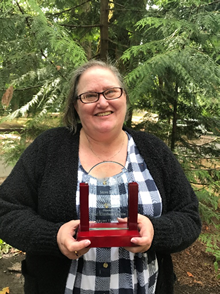 Juliette became the second recipient of PFLAG Olympia’s Steve Mast Advocacy Award at the annual picnic on Aug. 14, 2016. Juliette is a founder and co-facilitator of the Parent / Trans Child Support Group that meets the 3rd Sunday of every month at the Westminster Presbyterian Church in Olympia. She is currently working on developing a support group specifically for trans youth. 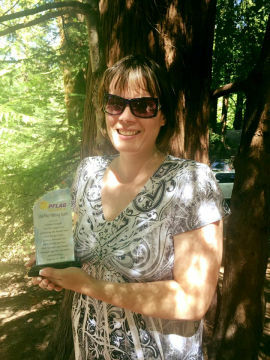 Donna became the very first recipient of PFLAG Olympia’s Steve Mast Advocacy Award at the annual picnic on Aug. 9, 2015. In 1998, Donna Doyle and her late husband, Tom, moved from Minneapolis to Olympia. The Doyles have a “blended” family of four adult children and three grandchildren. This lovely family includes two gay members and their spouses. In order to augment their understanding and support of these family members, the Doyles joined the Olympia PFLAG chapter soon after they relocated to Olympia. Both Donna and Tom served on the PFLAG board. Tom passed away in July of 2015, but Donna continues an active interest in all things PFLAG and LBGTQ, frequently reading and searching for information to aid in her understanding of those topics. 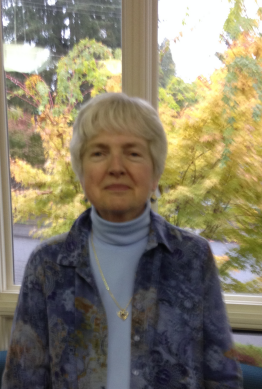 Donna also is a regular attendee of local PFLAG chapter meetings, and she serves as the refreshment chair. She also supports and serves the Olympia LGBTQ community by walking in the annual Pride parade, by working at the PFLAG booth during the Pride Festival, and by attending and donating to many support rallies and fundraisers for various LGBTQ causes. In addition, Donna can often be seen wearing a rainbow pin or bracelet, and her car’s bumper always sports a rainbow sticker. Donna is a strong and proud advocate for human equality. Minneapolis’s loss is our gain. Help us celebrate the legacy of PFLAG Dad Steve Mast and nominate someone (grandparent, parent or any parental figure ) that has advocated on behalf of an LGBTQ individual – you or someone you know. Go here to fill out and send the nomination form.